The Veterans Day Dinner and Dance is an annual event which celebrates veterans and the musical performers who entertained them. The 2018 event was presented with the support of the Champaign County Memorial Foundation. 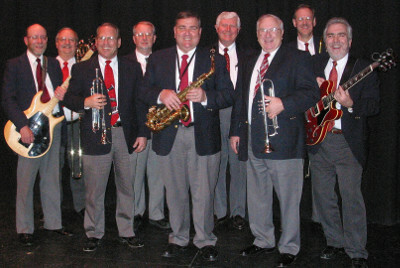 Each year the versatile 10-piece Bob Gray Orchestra plays 40s style "Big Band Swing." The band has been in existence since 1973, and its top-caliber musicians also perform in other musical organizations, including The Dayton Philharmonic and the Springfield Symphony. The diamond sponsor for the event was the Champaign County Memorial Foundation. The gold sponsor for the event was Bundy Baking Solutions. Silver sponsors were Walter & Lewis Funeral & Cremation Services, KTH Parts Industries Inc., Skelley Lumber, Perpetual Federal Savings Bank, Mercy Health Urbana Hospital, and the Ohio Arts Council.